Crystall Ball, PAD Controller from Naonext. French digital device manufacturer Noanext announces the availability of Crystall Ball, a new MIDI hemispheric controller. 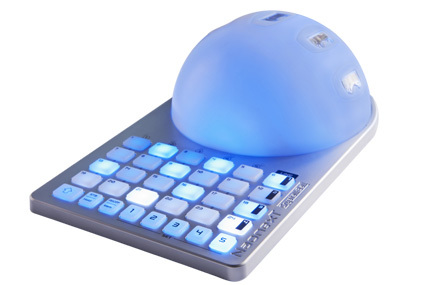 The Crystall Ball MIDI controller connects to a Mac or PC using USB and allows for controlling hardware or software MIDI synths, audio, video devices, etc. Along with its 32 backlit silicon programmable buttons (24 performance and 8 navigation buttons), a semi sphere equipped with 5 distance and speed sensitive optical sensors allows for trigger and controlling samples, effects and more. 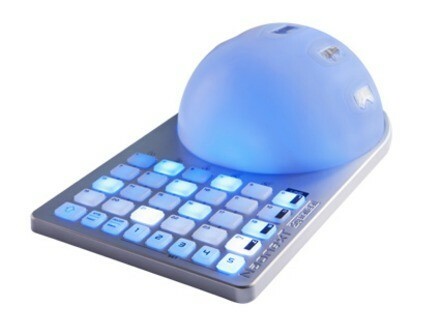 The Cystall Ball features a USB port, MIDI In and Out and a footswitch jack input. The Crystall Ball is manufactured in France and retails for 499€. More information available at naonext.com. Voxengo introduces Shinechilla Voxengo releases today Shinechilla, a new effect plug-in dedicated to harmonics generation on Mac and Windows. UVI releases the Digital Synsations UVI announced the availability of its Digital Synsations, a new virtual synth bundle inspired by 1980's and 1990's legendary model. BeyerDynamic launches the Virtual Studio plug-in For those who couldn't enjoy the Musikmesse Freeware last friday, BeyerDynamic officially launches its free Virtual Studio plug-in worldwide.